Sony media has always had a decent reputation, but also had a slightly premium price tag, which is why I didn’t purchase too many of their discs. 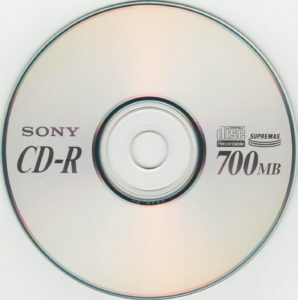 That being said, they had “catchy” marketing phrases such as “SUPREMAS” and “AccuCORE” which allude to supremacy and accuracy, but their claims are hard to verify. Despite that, I did end up amassing a fair collection of Sony media, hence the need to split their brand into posts by type of disc. 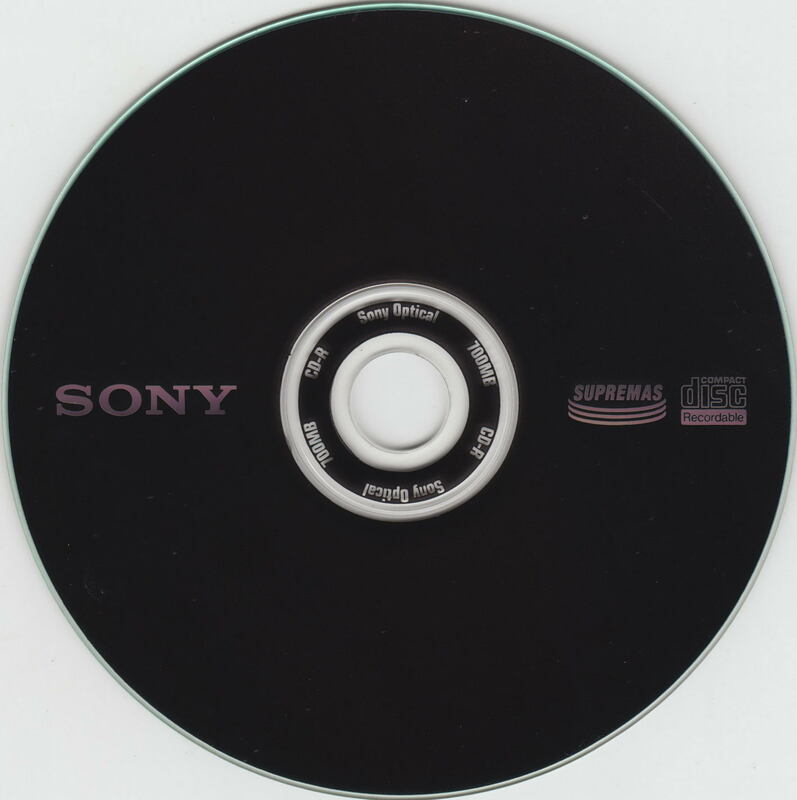 This seems to be a mid-life Sony disc, as earlier blank discs had similar packaging but they hadn’t “invented” the SUPREMAS technology yet. 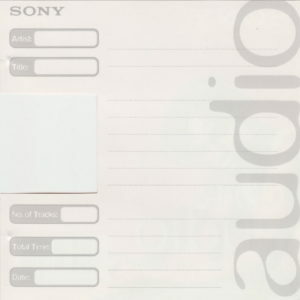 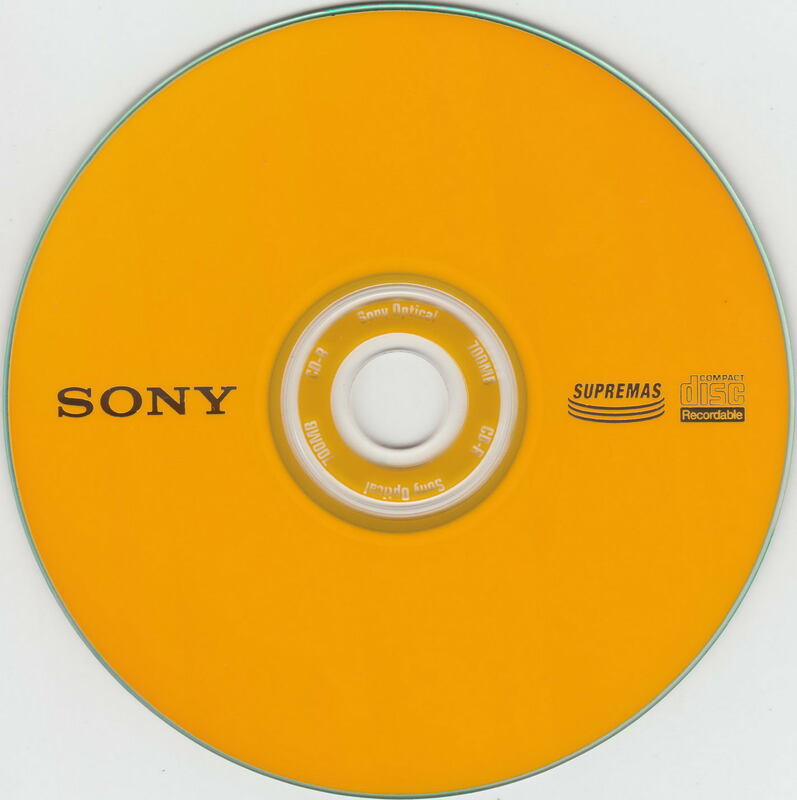 Solid blue back with white text, and a smattering of yellow on the front were very much iconic of Sony media’s packaging. 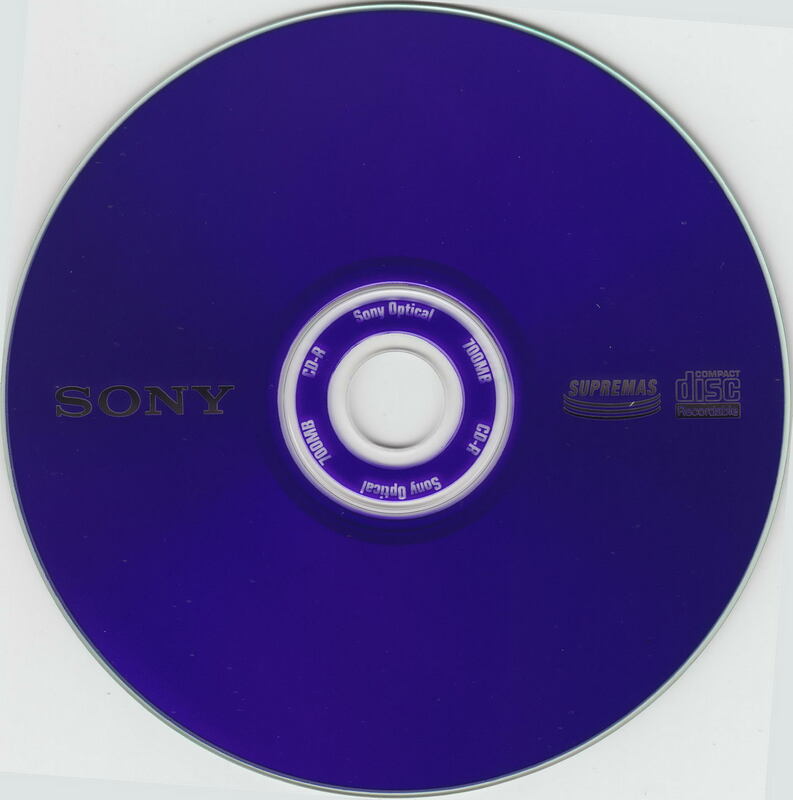 The disc itself has a noticeably different hub area pattern, and this particular disc seems to still have a cyanine/AZO dye of some sort. 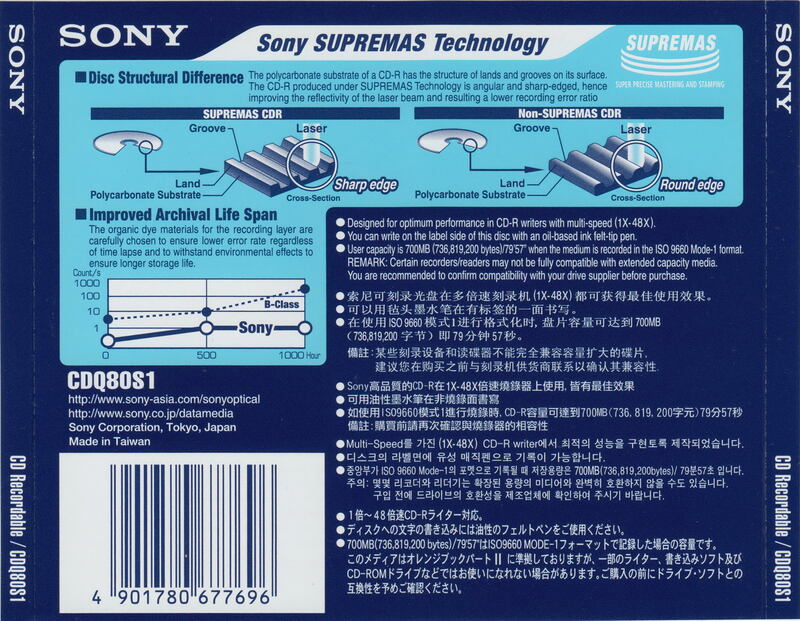 While SUPREMAS is not explained on the packaging, all of the SUPREMAS discs seem to have a slightly different ringed reflection when viewed from the underside, which may be a result of their (claimed) differences in groove geometry. 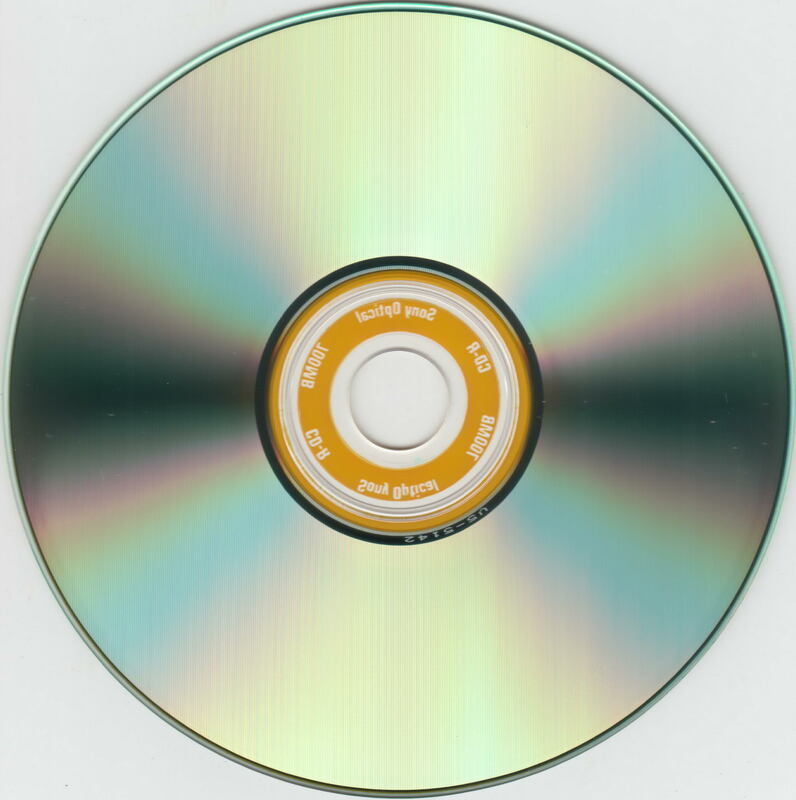 The ATIP on this disc is 97m24s12f (Sony Corp.) with a capacity of 79m59s74f. 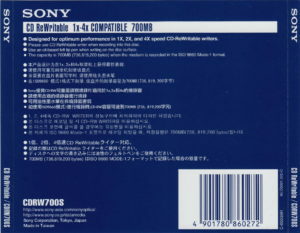 This is a later 48x version, and a Chinese market version hence the extra label on the front inlay. 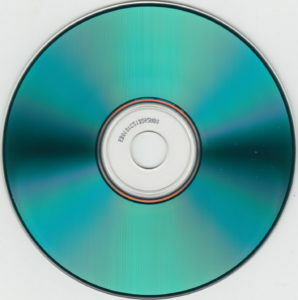 The product code suggests there may have been another generation of disc in-between the two. The dye has changed to a phthalocyanine. 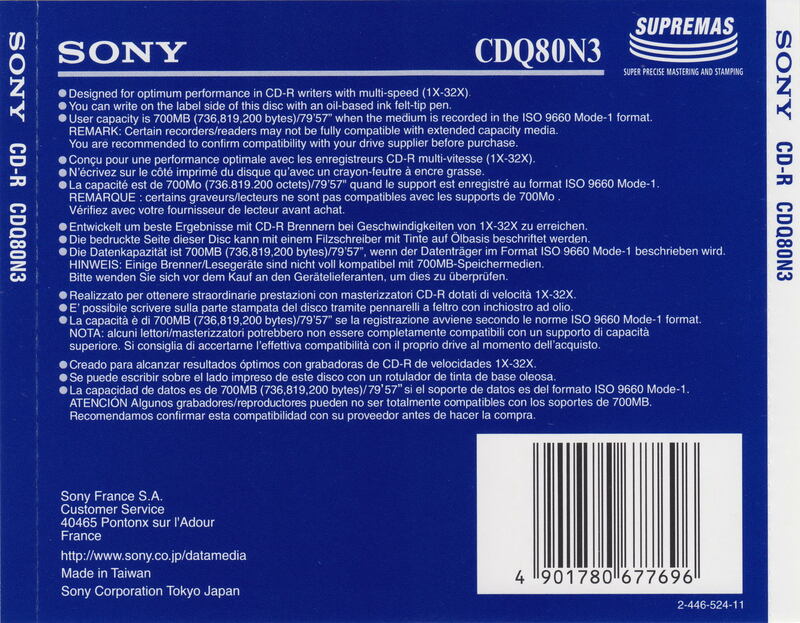 The ATIP is 97m24s16f Sony Corp. 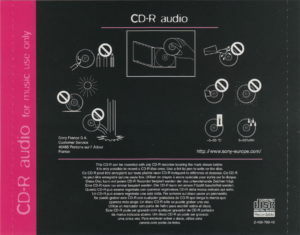 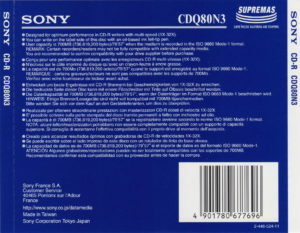 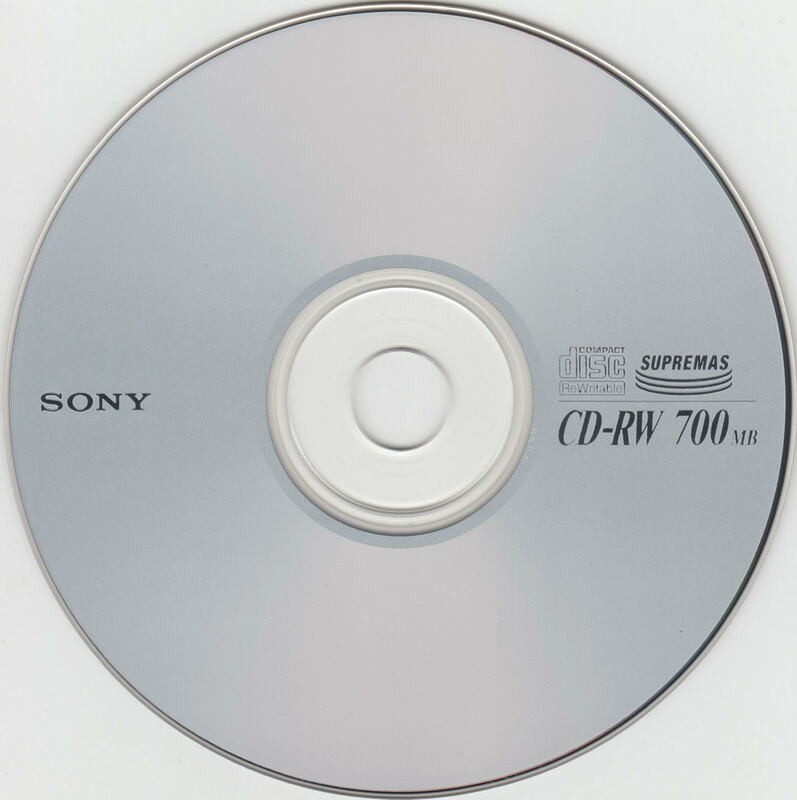 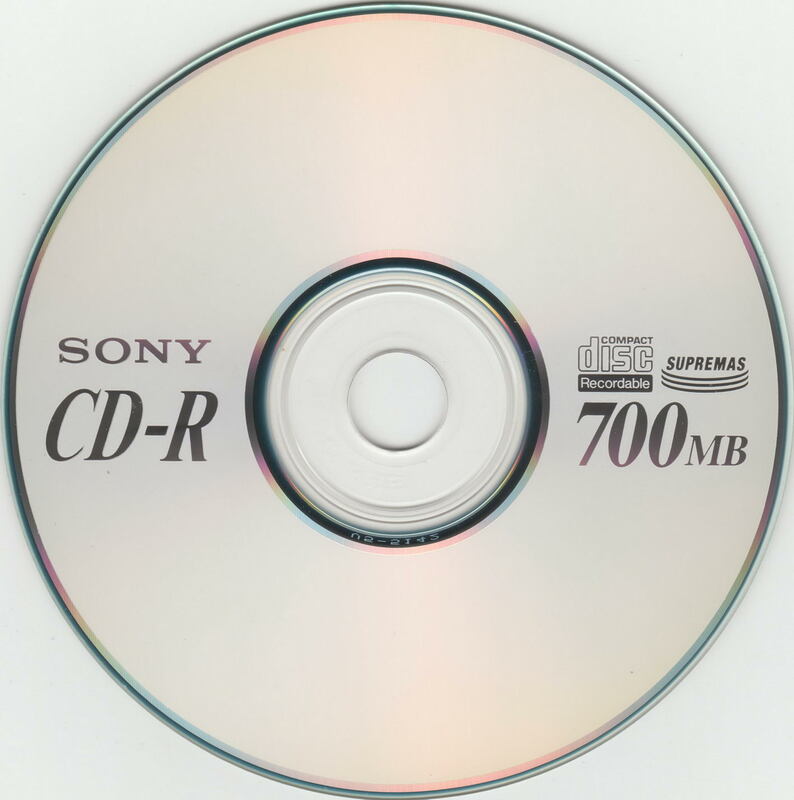 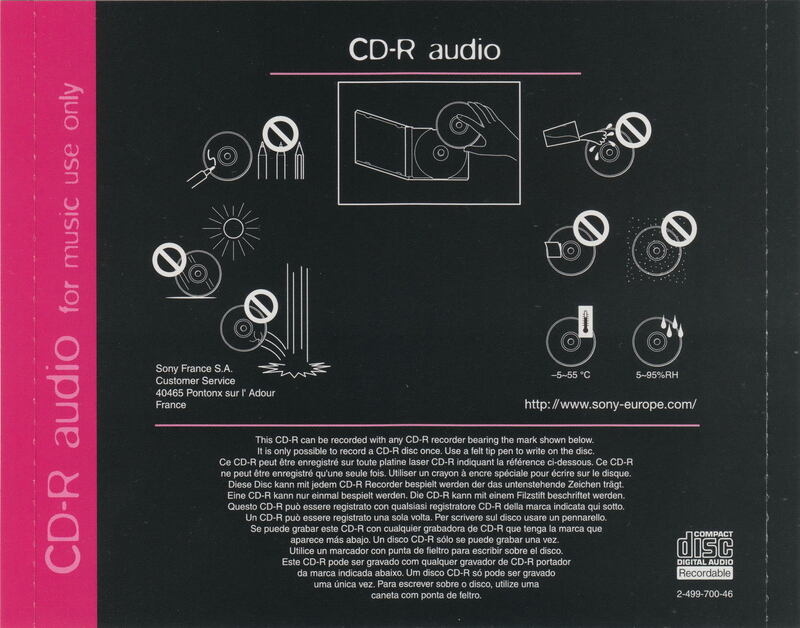 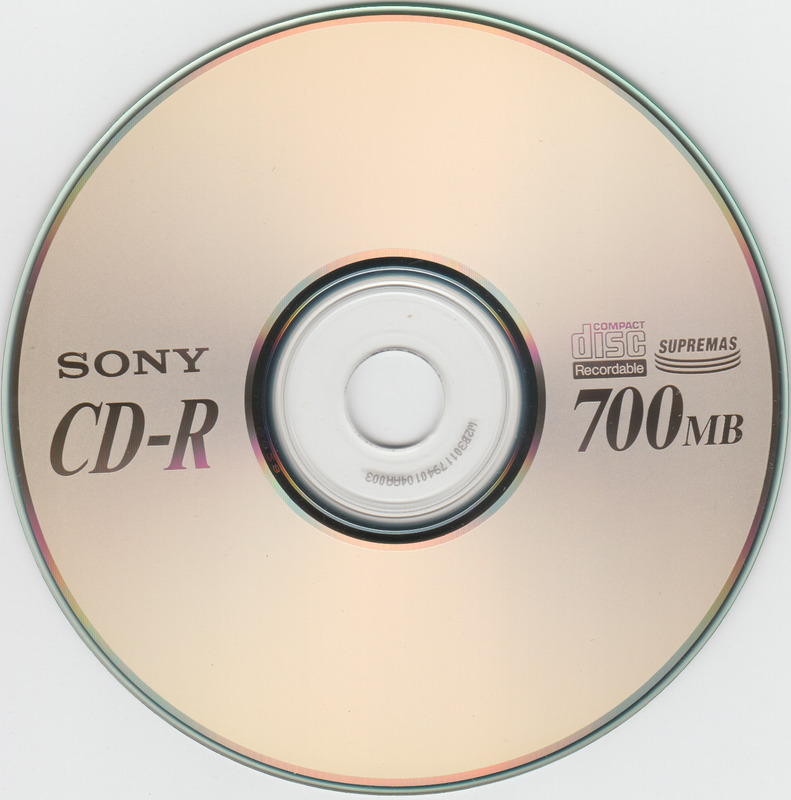 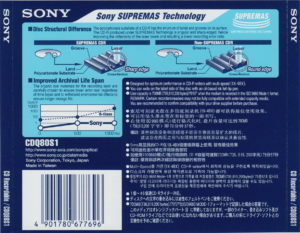 This is a more modern package version of the CD-R above, with an explanation of the SUPREMAS technology. 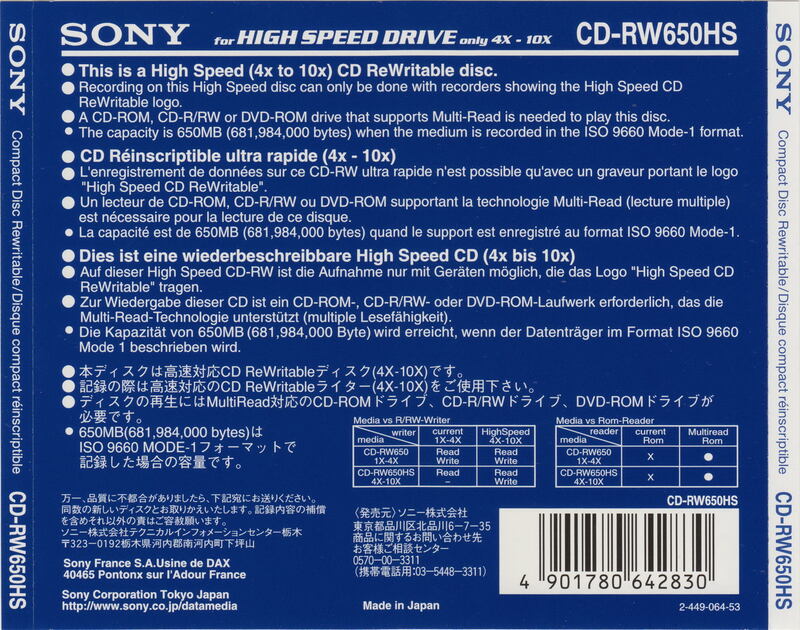 It’s interesting how they sell the technology to consumers – I have no real way of knowing if what they’re saying holds true or is indeed the case. 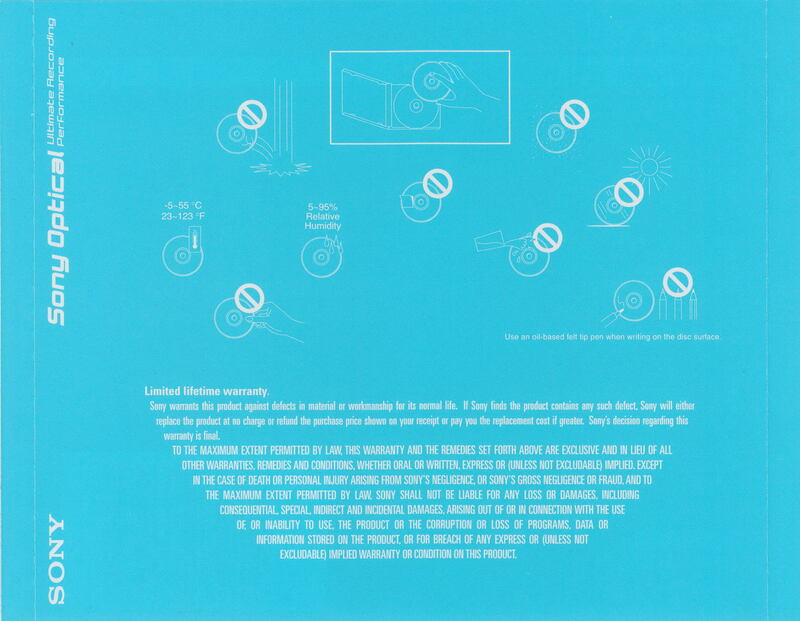 Also notice on the inside-print of the rear card, the word “Relative” for Relative Humidity is spelt incorrectly. 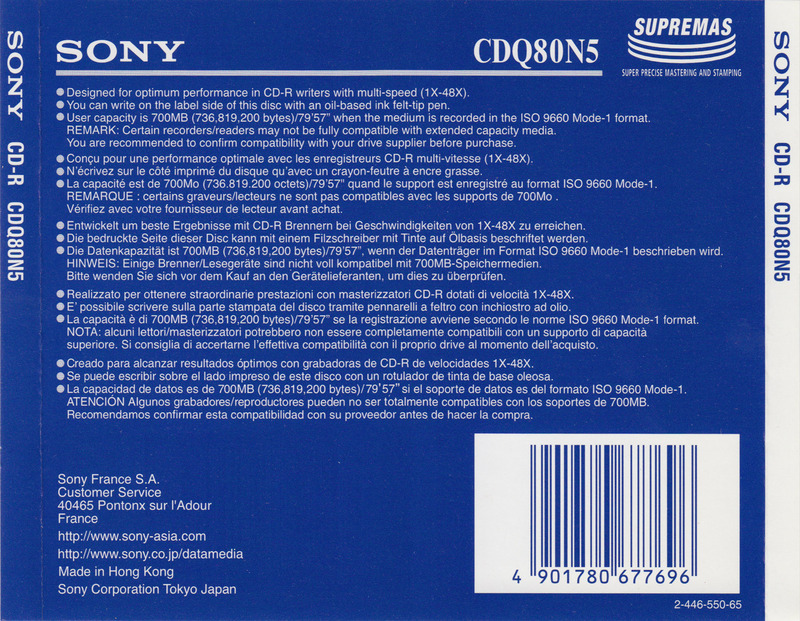 The ATIP is 97m24s16f Sony Corp. with a capacity of 79m59s74f. 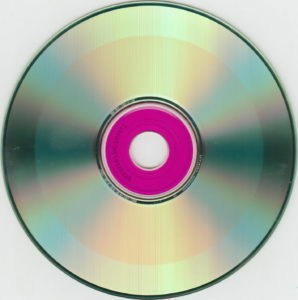 This was obtained in a partially used bulk spindle, so maybe I’m missing a colour. That being said, the only drawcard is a fully-coloured top surface, for “organizational purposes” or so it claims. 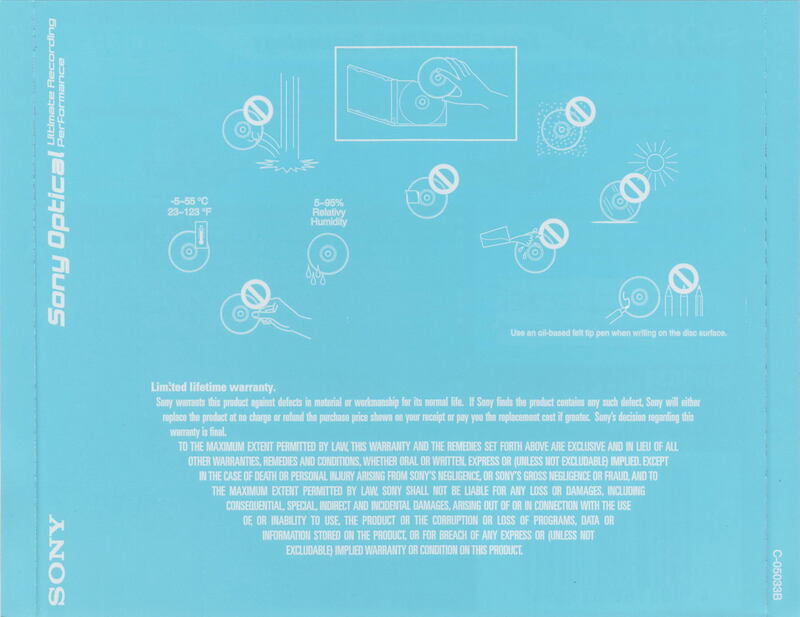 The black top seems potentially inconvenient due to the difficulty of reading marker pen on it. 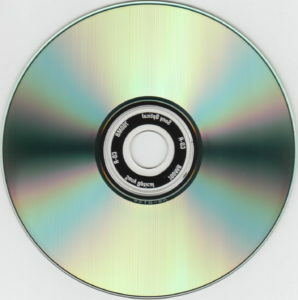 The disc itself shares the same ATIP and capacity as the 48x examples above. 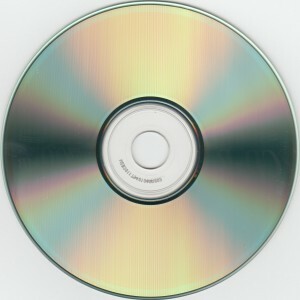 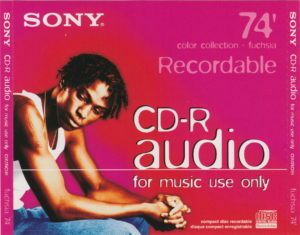 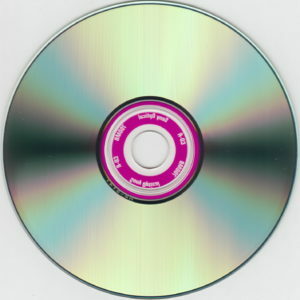 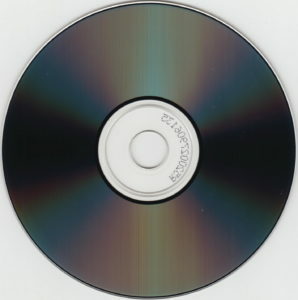 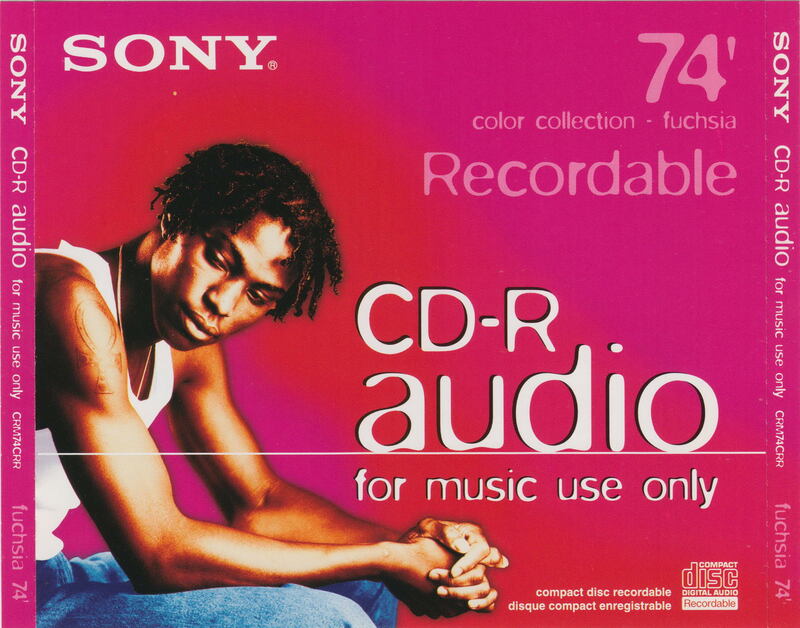 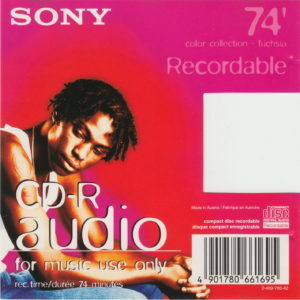 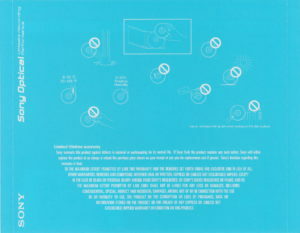 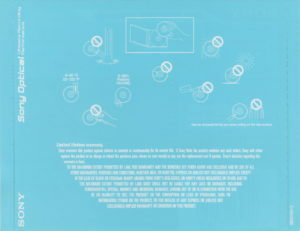 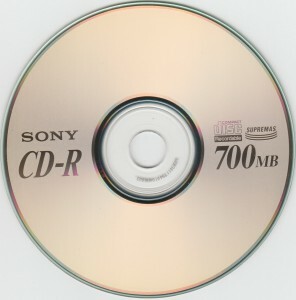 This was a CD for standalone audio recorders which require a pre-recorded segment authorizing the disc’s usage as a way of ensuring license fees were paid. Interestingly, the front inlay has a cut-out to reveal the disc’s fuscia coloured top. The disc itself also has barcodes etched into the center. The ATIP is 97m24s15s with a capacity of 74m43s00f. 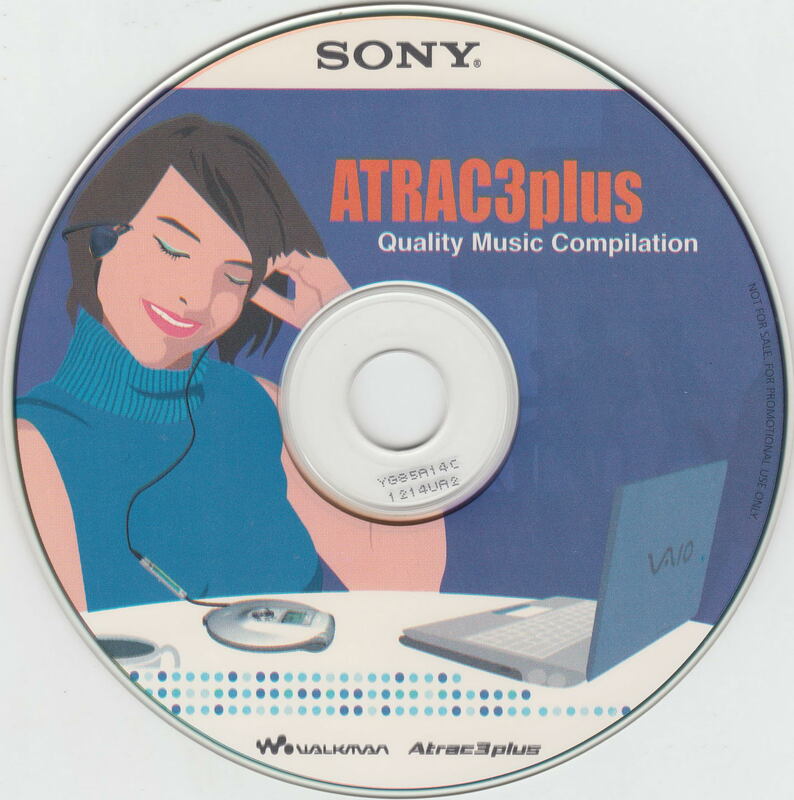 This isn’t strictly-speaking a Sony retail optical disc, but I came across a stack of these packaged in CD single cases in a market in Hong Kong in early 2017 and thought I’d have to have them. 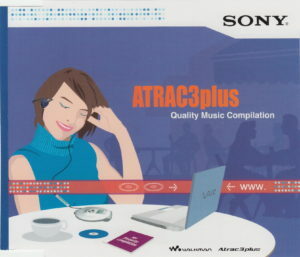 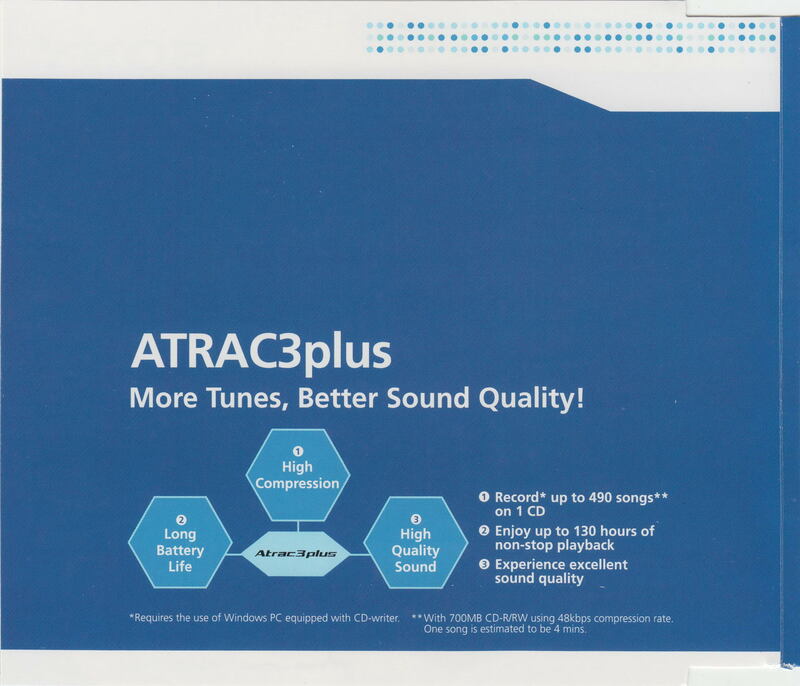 It seems they were intended as sample blank CDs for people to burn their own ATRAC3plus compilations to, maybe bundled with their ATRAC3plus capable CD Walkmans, but somehow were never used. 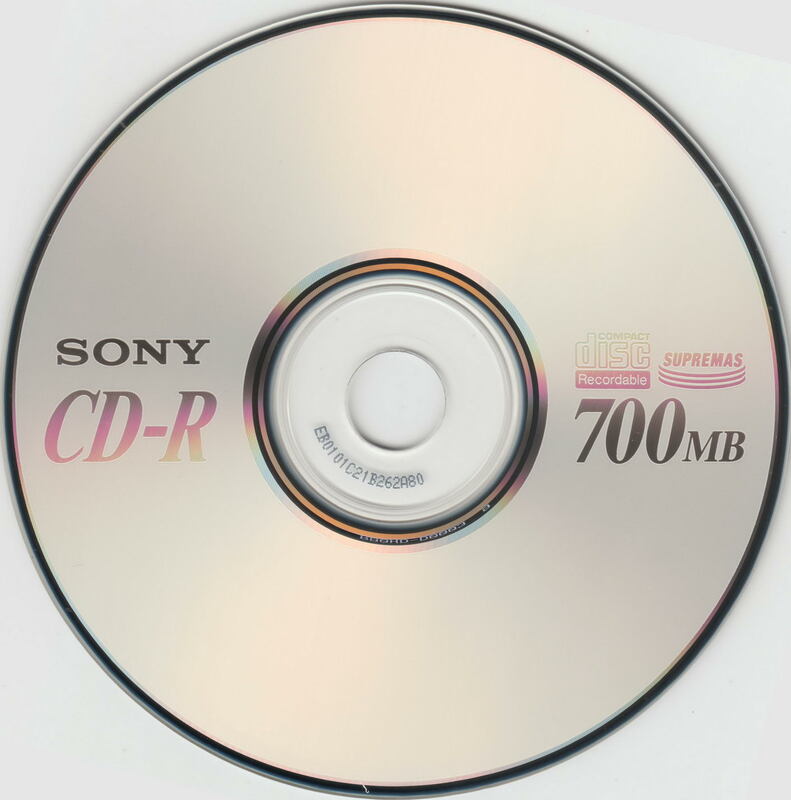 The disc itself has an ATIP of 97m27s18f (Plasmon Data Systems) and a capacity of 79m59s74f. Not a Sony blank, bearing the Sony brand. I suspect they may well be pinching pennies there. 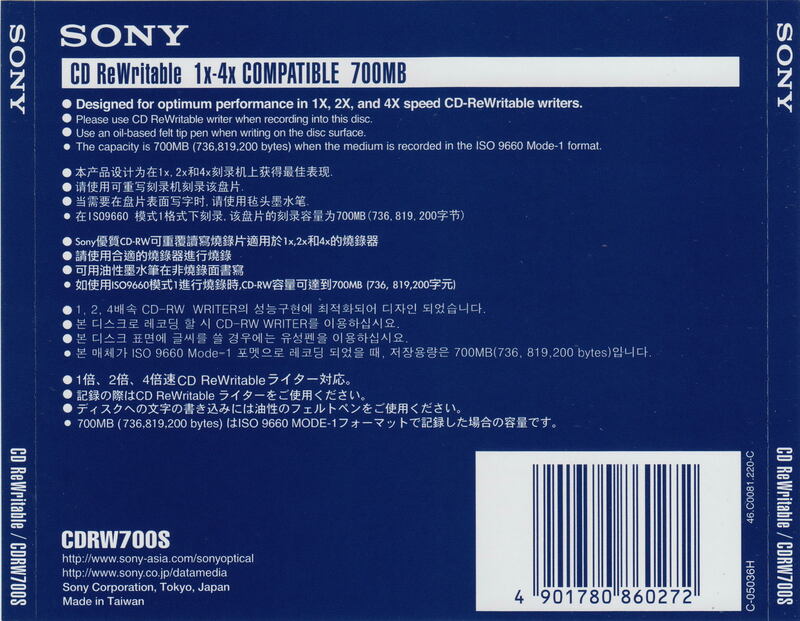 This packaging is much earlier Sony, and predates the CD-R examples above. 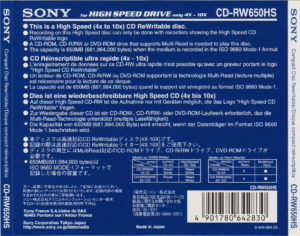 This disc would have been an early “high speed” disc, hence the prominent warnings that it is for “high speed drive”. The MID is 97m27s00f (Digital Storage Technology Co.) with a capacity of 74m12s00f. 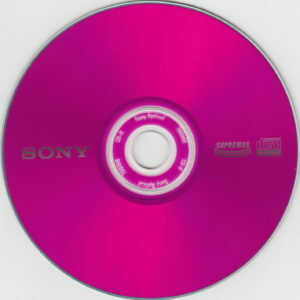 Not a particularly high quality vendor of discs branded as Sony seems a little strange. 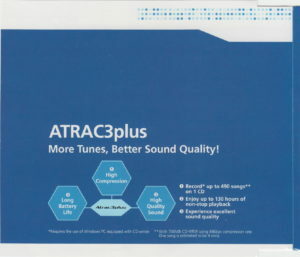 A bit of an odd product, as the front is of the new package design, and the rear outer portion is of the old design. I suppose there’s nothing particularly “hip” about CD-RWs to boast about, since they didn’t manufacture this one themselves. 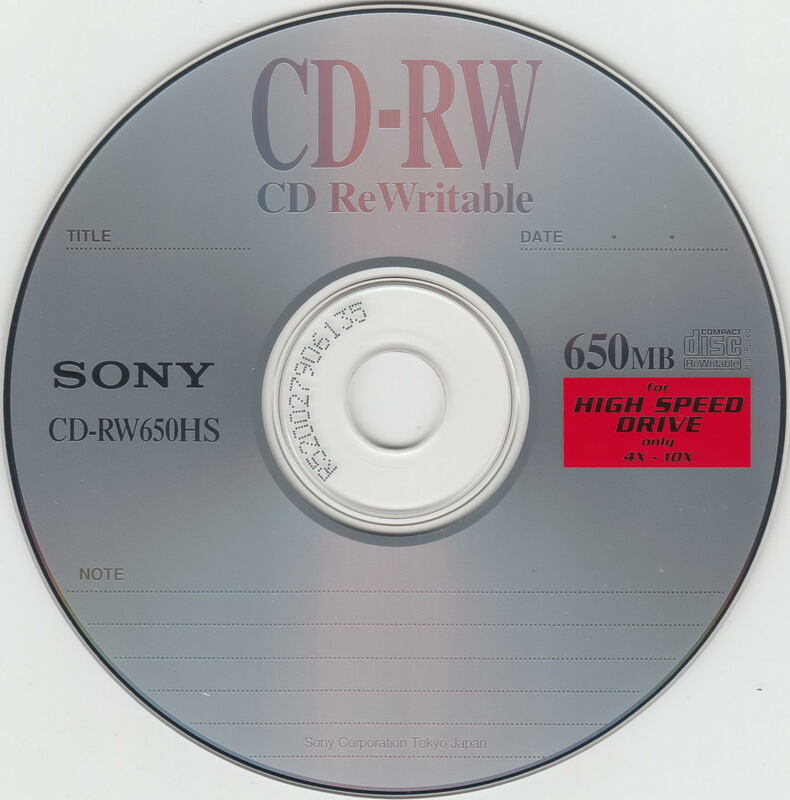 At least they got the spelling of the word “relative” fixed. 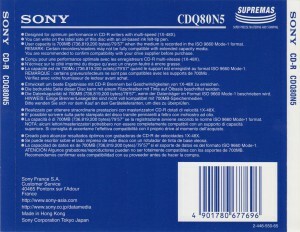 The ATIP is 97m22s60f (Daxon) with a capacity of 79m59s74f.